We are now selling DIY MidiFighter kits (now with black pcbs) in the web-store. This kit will be the first incarnation of our brand new controller line that allows several different levels of customization. Everything from creating original color combos to adding more analog interfaces and customizing the open-source firmware is possible with this exciting new tool. More info, photos and release date after the jump. The MidiFighter is designed to put you in control of your controller, so it allows for 4 “levels” of customization, depending on how advanced of a MIDI fighter you are. 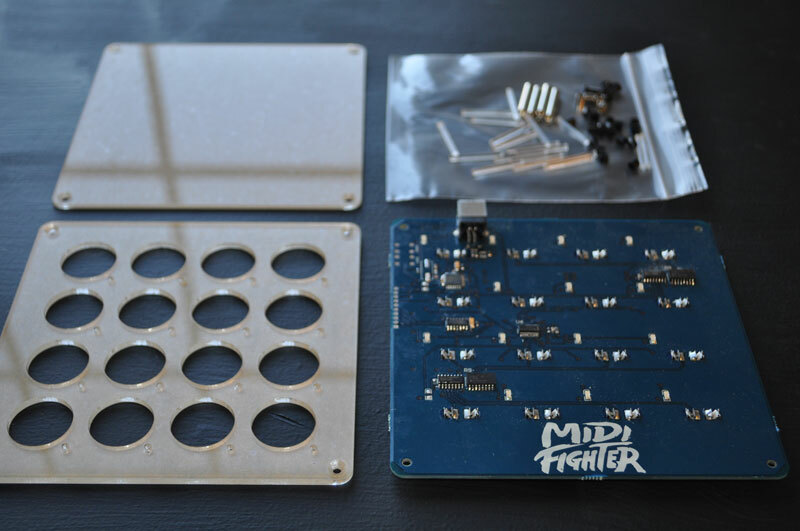 The MidiFighter kit comes in a flat box that can be personally assembled in 5 minutes. Entry-level modders can select the arcade button colors they want when ordering and assemble the kit into a custom configuration that fits their personal style or mapping. 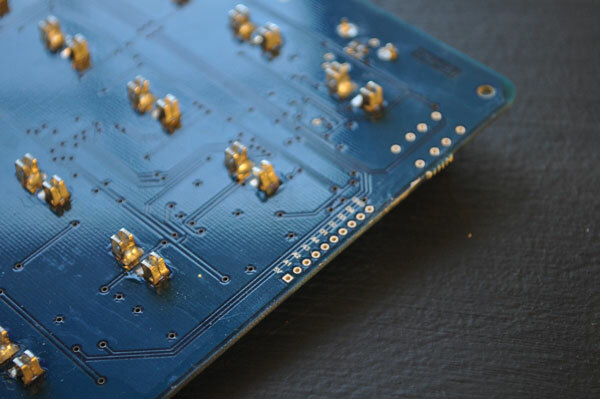 The arcade buttons snap into place thanks to our hand-made clips, which require zero soldering. Just screw together the frame using a simple allen wrench, snap in the arcade buttons and your custom controller is assembled and finished. The finished controller is plug-and-play with super high-quality, low-latency drivers and will work with all MIDI-compatible software. Because the top and bottom sheets are acrylic, the more adventurous modder can paint the back of each plate with their own color, or color combinations. Get your artist buddies to do a crazy pattern and completely customize the top sheet to match your button configuration. Not feeling the exposed PCB look? 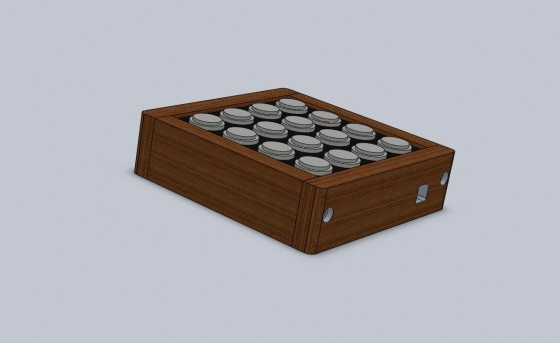 We will offer an optional wood case that is easily assembled with just 4 screws. The 4 walnut sides bolt around the kit, providing additional protection and a high-quality, finished look. 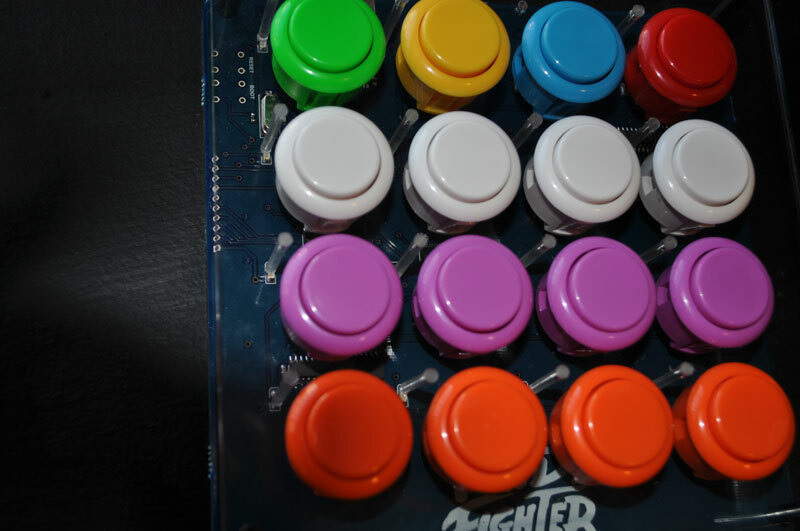 Every MidiFighter kit is fully expandable with 4 analog and 4 digital input ports. This means you can solder on any additional analog control you can imagine, including mod wheels, joysticks, sliders and knobs. These ports require no additional coding and will work right out of the box once you add the analog controls. 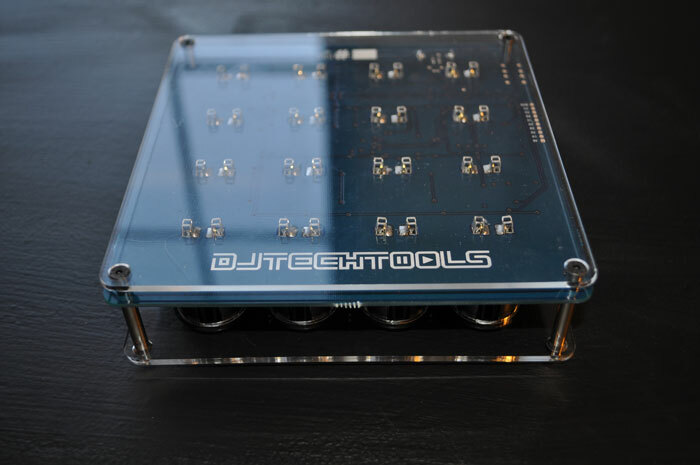 Buy or build a larger case, re-cut a top sheet for the new controls and boom: You can build a high-quality, custom MIDI controller in just a few hours. Advanced modders and gear heads will be stoked to learn that the custom firmware is not only high-quality but also open-source. If you have the means, we are happy to let you rewrite the MidiFighter code and make it do whatever you can possibly imagine. All of these possibilities beg one simple question: What will you create? 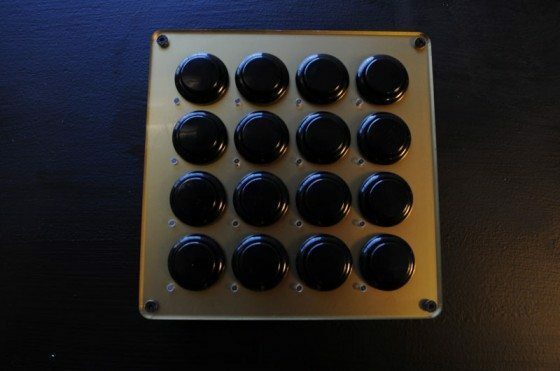 MidiFighter.com is almost ready to go and will be the central place dedicated to featuring all of the amazing creations you come up with using the MidiFighter platform. The first run is a limited-edition group of 300 pieces. Many of them are spoken for, so chances are they will sell out rather fast. The best way to insure you can get a kit is by signing up to the email list below (ALT LINK) . When the MidiFighters are up for sale, we will notify this list 24 hours before they go public.